Your Safety go-to! 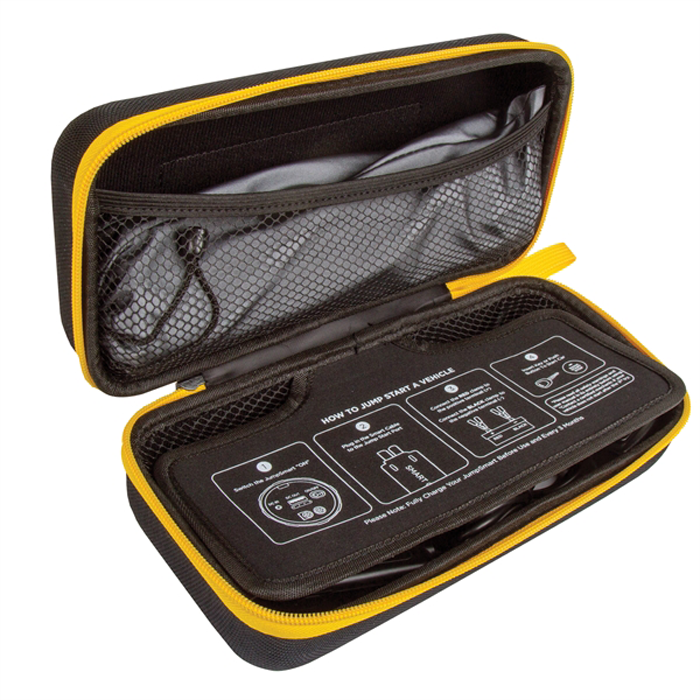 The customizable JumpSmart is a tool for everyday or emergency use. 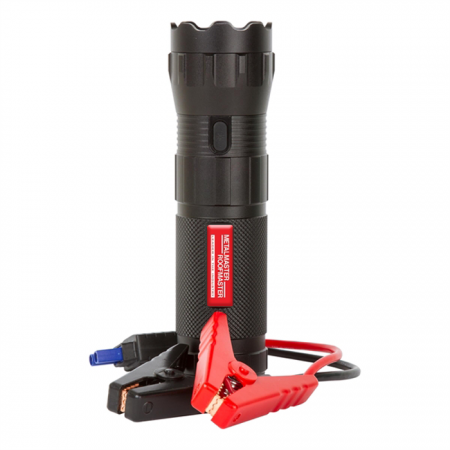 It contains a high-powered, 4-mode LED flashlight, vehicle jump starter, and power bank (10000 mAh) with a USB charging port. 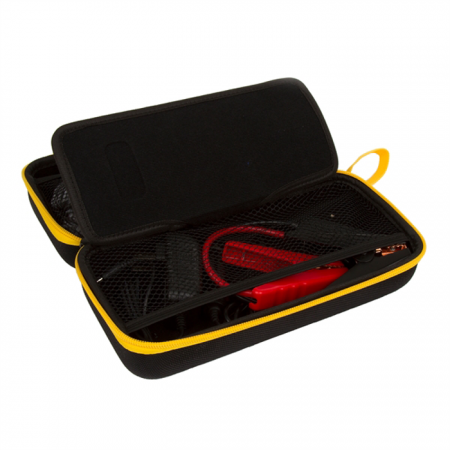 The durable heavy-duty carrying case allows you to be prepared on-the-go. The included Smart Cable offers the safest jumper cable available with 10 levels of protection, including Reverse Polarity Protection, Short-Circuit Protection, & more. 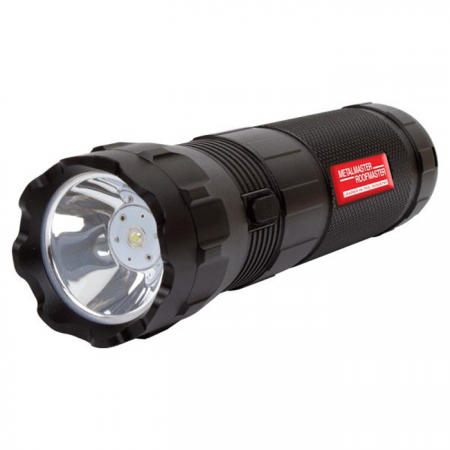 The durable aluminum LED flashlight with knurled casing has a powerful 1100 Lumens which be seen up to 150 Meters. The USB port is compatible with most USB devices & charges up to 2.4A per port. 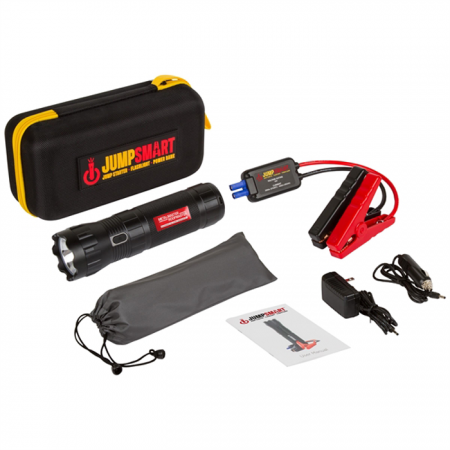 JumpSmart is FCC Certified, CE Certified, and RoHS Compliant, and has a 1-Year Limited Warranty. Customize this item with your own logo to make it truly unique! Order today!